Dr. McCarter is a practicing emergency physician with special interests in disaster medicine and wilderness medicine. Dr. McCarter received his medical degree from the University of Mississippi in 2005. 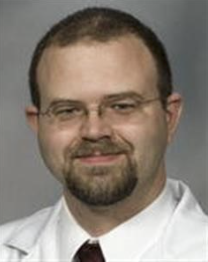 He completed residency in Emergency Medicine at the University of Mississippi Medical Center in 2009 and joined the faculty that year. Dr. McCarter’s interest in the intersection of outdoor activity and health led him to become the director of the clerkship in Wilderness Medicine. He also serves as a medical director for the Center for Emergency Services helping the university community plan and respond to disasters locally and across the state.